AN ALLY OF German chancellor Angela Merkel has said he told Taoiseach Enda Kenny that Ireland cannot use the new eurozone bailout fund to retrospectively recapitalise its banks. Dr Joachim Pfeiffer, economic policy spokesperson for Merkel’s party the Christian Democrats, has said that the European Stability Mechanism (ESM) can only be used for future banking debt issues and not legacy ones. He told TheJournal.ie today that he communicated this to Enda Kenny in a meeting yesterday but said the Taoiseach did not share his view. “He said the instrument was put in situ – that it can be used. But from my point of view it’s an instrument for the future,” Pfeiffer said of Kenny’s response. For over two years the Irish government has been pushing for the use of the ESM to retrospectively recapitalise its pillar banks, AIB and Bank of Ireland, which received some €25 billion in State funding at the height of the financial crisis. The government and Finance Minister Michael Noonan have repeatedly maintained that they will seek relief on legacy bank debt when the ESM is fully established later this year but these latest comments will do little to bolster the government’s case. Pfeiffer has been in Dublin this week attending events and meetings with the German-Irish Chamber of Industry and Commerce. He has repeatedly said in interviews that Ireland has no chance of using the ESM for legacy debt. “The ESM is an emergency instrument for the handling of the future problems that hopefully we are going to prevent,” he said this morning, adding “definitely not” when asked if it could be used for legacy debt. He said that every country has to deal with its own debt burden, saying it is not the responsibility of other eurozone nations to provide relief. Pfeiffer repeatedly said that the ESM is “an instrument for the future and not for legacy”. He added that his view was shared unanimously by other German parliamentarians and that he believes Chancellor Merkel also shares his view. Email “Merkel ally: I told Enda Kenny that Ireland has no chance of a bank debt deal ”. 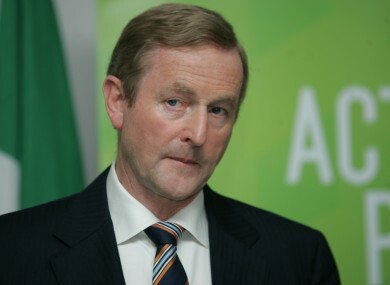 Feedback on “Merkel ally: I told Enda Kenny that Ireland has no chance of a bank debt deal ”.